Today is my 62nd birthday and this is my thank you note to the Ultimate Mom and to all of you! in the order of things. in the concerto of creation. she tells me the labor has already begun. Happy Birthday Julia! You are a fellow Scorpio. It was wonderful to meet you in New York. Your song “This longing in my heart will be a gift, not a burden” truly touched me. Thank you! I spent some time looking at your picture, you do indeed look so radiant and filled with life and energy. Thank YOU for the gifts you have given me since I came across your work and had the pleasure to meet you. Tonight I am bowing to what is, to my imperfections, my gifts, to what I still do not know and to this wonderful community you have created. Thanks a lot for your prompt response Julia! I will send you the doc’s info for sure. But they are not my primary docs since they are in a different city. I reached out to them for a second opinion online. I would love to join your support group atleast once to see if it helps. If I have to go through IVF, I want to do it once and do it right. So please help me understand how can I join into your phone circle as a guest? You can send me an email to discuss details. Really appreciate your offer to help! I am 34 and a mom to a wonderful 4 year old girl. We have been trying to conceive our second child for almost a year now and haven’t had success. On consulting several docs, have found that my AMH level is low (0.8). We have tried one cycle of Clomid and IUI without success. So other than IVF, one of the docs recommended yoga, wheatgerm and your book – Inconceivable :-)That is how I found out about you. Unfortunately none of the book stores in India have your book in stock. So I haven’t had the privilige of reading it. But before I jump onto IVF next year, I do really want to de-stress and make sure I make the most of my IVF. Please let me know how I can use your program here in Bangalore, India! that might not work. Skype users often get disconnedted. But you can try it. We also ship the books and the CD’s all over the world so you can order those through the shop. 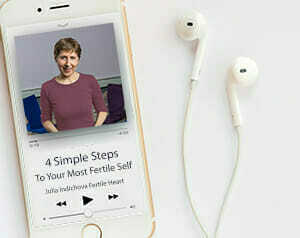 You are so young and have the advantage of all those saved eggs by going through one pregnancy and probably not ovulating for a while if you were breastfeeding, why would yuou need to go through IVF, espeacially with all the new research coming out about the potential sideeffects of the treatment? My very best to you and I hope to have a chance to connect with you in real time! Beautiful poem – and too for me the words “I step into splendour bowing to what is”, I believe that I can actually do that now and your work has helped me in achieving that. May you receive blessings in abundance for all the healing your facilitate in wounded hearts around the world. What an amazing way you have used the gifts God bestowed on you. happy birthday. You’ve helped to unlock such beauty and hope in my life. Happy Birthday Month! You look so much younger than your chronological age! Thanks for everything you do to help support those in need on their journey. As you know, we conceived our son the very next month after meeting with you in 2008. My husband and I also enjoyed your circle this past Spring!!!! You are an inspiration and a tremendous life force embodied in a tiny person! Happy birthday! I hope u had a wonderful night with your family. I am enjoying every second with the newest member of our family. I am so grateful for all I learned and am still learning thru the fertile heart work. I even used your imagery while I was in labor and it was so helpful to stay focused on that instead of the pain!!! I will keep in touch and I love going to the website to stay connected. Sorry it took me so long to post. I am adjusting to motherhood and don’t even know what day of the week it is!!! Thank you for sharing yourself and this beautiful work with us! It has changed my life and continues to do so every day. I am eternally grateful to you. Great Picture, you look fantastic!! Dear Sweet Julia – I send you Birthday Wishes from my ever open heart! Thankyou so much for helping me birth that in me – it is priceless and shows the immense value of your work!! To my pal Julia – happy birthday! Thank you for your beautiful poem. The same words that resonated with Maryann were important to me. Especially at this time. Thank you. A big happy beautiful birthday Julia. Thank you for sharing your poem /song. Many birthday wishes to you dear Julia. I love that you own your age and are so proud of it as you should be! You are 62 years young… still birthing, still growing. Thank you for beginning this journey and for sharing it with us. Love, Kriste. The world became a brighter place the moment you entered it. Happy Birthday, with much love and admiration. Happy Birthday Julia!! Thank you so much for sharing all of your gifts and for helping us to connect with our Ultimate Moms. I am learning to bow to what is. Life is always right. I love that. I love it even though I am not pregnant right now. Everything is as it should be in this moment. Have the most wonderful happy birthday!! And even better is having the knowing that you hold the tools to connect with the Ultimate Mom to make each day better and better. Thank you for reminding us all that we are exactly where we should be. This is not always so easy to take. It hurts to have a longing. Your beautiful poetry reminds me tonight that our Ultimate Mom’s are here for the guidance we need. Thank you for being in this world dear Julia, and for teaching us all of your gifts. I look forward to supporting you in next year as you support me / us! Wishing you a very, very, very happy birthday, Julia! I love your poems, they are rminding me of how I felt right after the workshop. I really felt like I found what I was looking for and I could bow to what was. I just know that that’s what opened me up to receive the gift of my pregnancy. I hope this is a wonderful year for you in which you really get to claim the full value of your incredible work. I am here to support you in that birthing all the way! Happy Birthday Sweet Julia! It’s such a blessing to know you and be a part of your community!